Lyn Roman, AKA Linda Griner has been a top real estate agent in Las Vegas since 200l. She has won multiple awards and achievements. In the community of Las Vegas in real estate and humanitarian effort worldwide. Linda Griner a.k.a. Lyn Roman is acclaimed throughout the world as a top recording artist, producer actress and writer. She has recorded for most of the major record companies in the world. Linda accepted a position as Ambassador to Australia. 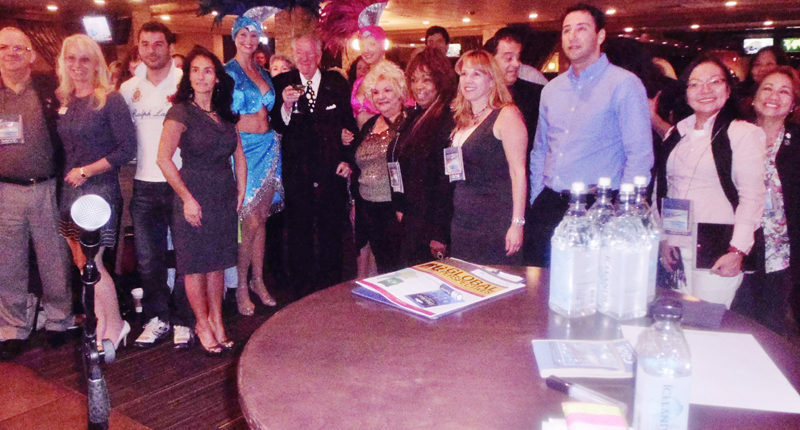 With her fellow Realtors presented the first Glvar Global Trade mission in LasVegas November 12th 2014. She works with people from all walks of life be it celebrities or just plain folks. This has been her passion for many years. Her CDs and albums are very prevalent online. Many are collector's items selling on EBay for hundreds of dollars among countless sites on the internet. She recorded for Motown, Columbia Records. Mercury Records with the legendary Ed Townsend and Quincy Jones, Brunswick, Mercury records, and Paramount Pictures Music Division Dot records. She is also on Motown Universal Records. Her Legendary producer Gerry Granahan who produced a great majority of her recordings who himself sold 22 million records was her producer at Paramount music division, she is in the Rhode Island "HALL OF FAME" with Gerry Granahan. She has incorporated her music with her passion with Real Estate.